Rhonda with Chances Angel Rescue & Education, C.A.R.E. had a busy weekend. 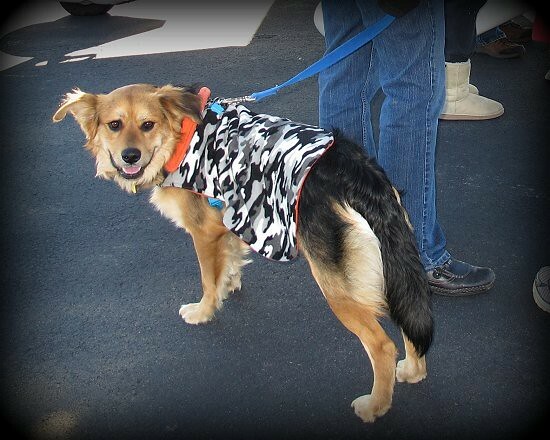 The weather prevented the previous weekend's transport, so she and her volunteers had dogs backing up everywhere. Two transports were required to clear the "backlog". Team Mutt Muffs took Leg 2 from Louisa, VA to Philadephia. Layla & Pixie were owner surrenders. They look alike but oddly enough, they are supposedly not related. Very sweet, energectic girls. No prior info on them other than they were surrendered. They were cared for in foster care with Terry and Conni. Freddie was pulled from our local shelter. He was picked up as a stray wondering around Bojangles. Thankfully he found a safe landing with us in our foster care program with Jackie. Wally was trapped by animal control and sent to the local kill shelter. We pulled him to safety and placed him in our foster care program. He really blossomed once he was in foster care with Pat. This is Freddie. Freddie is obviously an extremely intelligent dog. 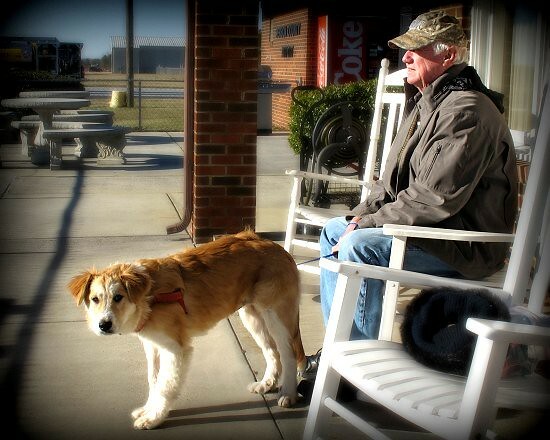 When he found himself in dire straits as a stray, he chose to hang out at Bojangles. Excellent choice. That's what I would have done. Good news Freddie... The menu where you're going will be even better! Everyone is loaded up in Frank's plane, ready to depart. Layla takes a last look at the foster people that took her in during the darkest time of her life. I think she's saying "thank you". 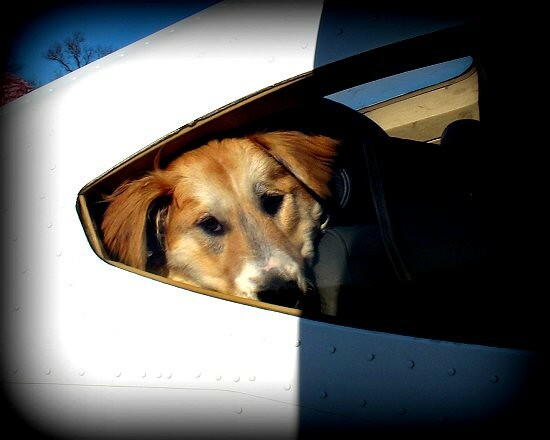 Although it might be "why did you put me in this little airplane?" Hard to tell. Leg 1 complete. 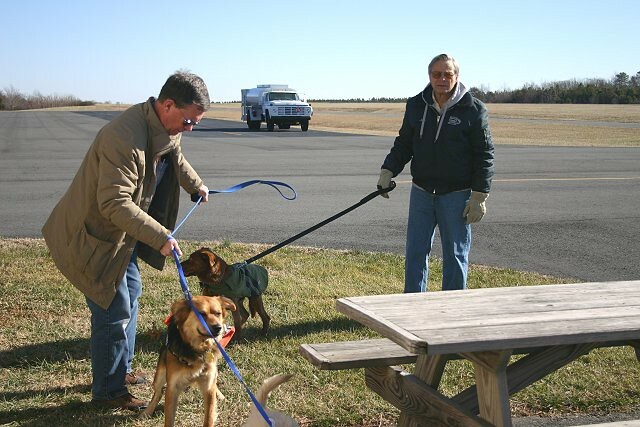 Everyone enjoys the brief layover at KLKU Louisa, VA.
Pilots Frank and John with Freddie and Wally. When I look at Freddie's expression, I think he's doing math in his head. Could be that he's reminiscing about Bojangles chicken though. Again, hard to tell, and Freddie ain't saying. 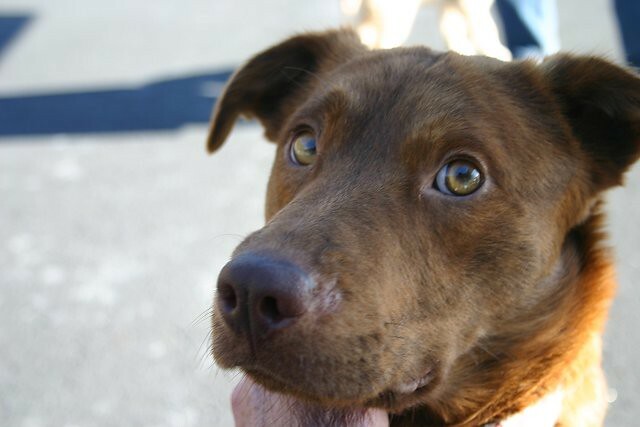 Wally, with his beautiful eyes, just wants what every dog wants - to love and be loved. 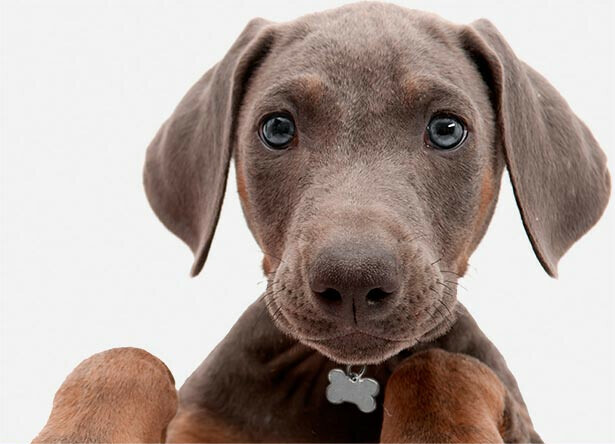 (And Bojangles chicken, a good squeaky toy and a warm bed, probably in that order). Well Wally, all that and more is just one more flight away in Philadelphia.